If you are in accident with semi-truck, 18-wheeler or other commercial vehicle in or around Kansas City, the most important thing to do is get to safety and call for help. Calling 9-1-1 is important for two reasons. First, an ambulance and paramedics can be dispatched to assist any who are injured. Second, highway patrol and local police can secure the accident scene and redirect traffic while an investigation and crash report can be completed. The investigation and report conducted by law enforcement is the first step in understanding how the crash occurred and whether a party was negligent or at fault in causing the wreck. Establishing that a party or parties were liable or at fault in causing a truck accident is necessary to have a legal right to compensation for your injuries or damages. While truck accidents are often caused by the truck driver’s negligence, other factors may have contributed to causing the accident. Some of these factors may not be revealed in the initial investigation and require a closer examination by a truck crash lawyer familiar with truck accident cases. One such factor that may not be immediately obvious in causing the crash relates to truck safety inspections. Trucks and other commercial vehicles are required to follow certain laws and regulations relating to safety inspections and truck maintenance repairs. However, trucks may not be inspected as required by these laws and repairs that were identified in safety inspections may not be made. The failure to properly inspect or repair the truck can allow the vehicle to be driven in an unsafe condition or with malfunctioning equipment or parts, and this can contribute to causing an accident. What is a Driver Vehicle Inspection Report (DVIR)? A DVIR is a record of inspection usually done on commercial motor vehicles to ensure compliance with Federal Motor Carrier Safety Administration Regulation 396.11. This report must include certain parts and motor accessories necessary for the proper functioning of the truck. However, a motor carrier company may include other parts or accessories on the DVIR as well. The Federal Motor Carrier Safety Administration makes it mandatory that all operators of trucks and commercial motor vehicles shall not drive unless all items on the list are in place and are ready to use. By filling out the DVIR, the driver can identify any safety issues, such as defective parts, missing accessories, or any other problem that hinder the safe operation of the truck. Failure to do a thorough inspection of the truck can result in the driver being liable for the accident, even if the truck had the emergency equipment. If the inspection report was done and it noted damaged or defective parts and the truck company did nothing about it, this might increase the risk of a crash. This also can be a basis for establishing fault or liability for the truck accident. The DVIR is kept for up to three months with the motor carrier company. If an accident occurs within this period, the information in the DVIR can be very useful in determining the likely cause of the truck accident. As a result, you or your truck accident attorney will need to act promptly to ensure that this information is not lost or destroyed. In addition to DVIRs, drivers must also provide reports for equipment supplied by an intermodal equipment provider. This makes the providers aware of any possible defects or issues with the parts or accessories they provided, so they can make necessary repairs. This is another important safety report that can be helpful in establishing what party should be liable for the crash. The Federal Motor Carrier Safety Administration (FMCSA) assigns special agents that inspect commercial vehicles and intermodal equipment. These agents can indicate whether there’s increased risk of an accident due to the problems with either the equipment or truck parts. If so, the truck is marked as “out-of-service” and cannot be driven until the motor carrier company fixes it. Obtaining these reports would be helpful in establishing whether the truck crash was due to an unsafe condition of the vehicle or negligence on the truckers’ part. In addition, it may show that the trucking company failed to repair parts noted by the special agents of FMCSA and allowed the truck to be driven in an unsafe condition. Trucking companies are also supposed to conduct annual and periodic inspections of their fleets to identify trucks that need repair or parts that need replacement. The failure to comply and conduct these inspections may contribute to causing a truck accident. 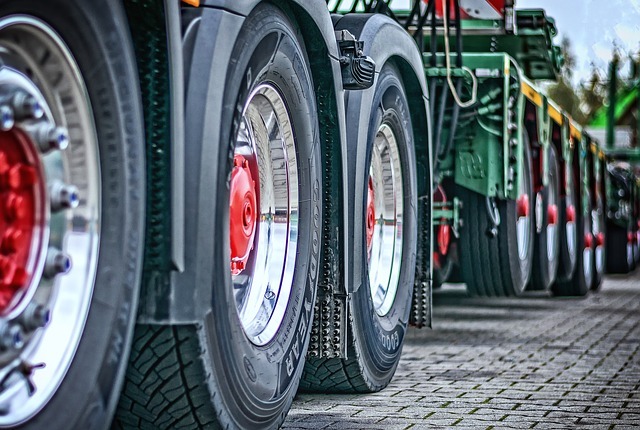 If you or a loved one was injured in a crash with a truck, 18-wheeler, semi or other commercial vehicle, the failure to conduct proper safety inspections may have played a role in causing the accident. To recover compensation for your injuries or damages, a full investigation will need to be conducted into all potential factors that contributed to the crash, and safety inspection reports should be reviewed to determine if unsafe or defective parts or equipment contributed to an accident. Our Kansas City truck accident lawyer is ready to help. Our legal team can conduct a thorough investigation of the crash, evaluate these reports and other important evidence, and prepare a strong case to hold the liable parties accountable. Call us today to set up a free, no obligation consultation: 816-203-0143.